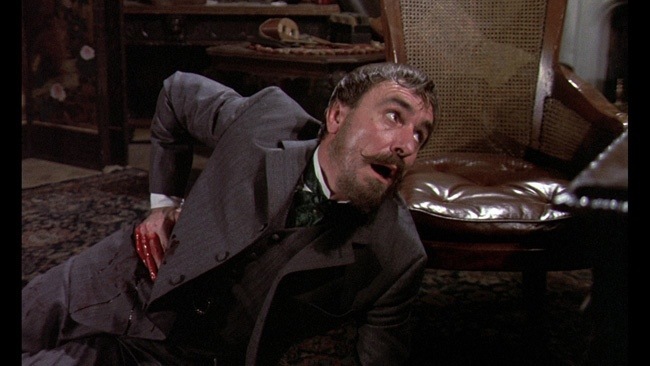 Released in 1971 from Hammer Studios who are probably best known for their takes on Dracula and Frankenstein, but this was more to the stupid than those films and Hands of the Ripper while a good idea just never fully works as well as it could have. Anna (Rees) is the daughter of the infamous Jack the Ripper and a child she witnessed her father brutally kill her mother. 15-years later she’s a troubled young woman who goes into trance like states where she seems possessed by the spirit of her father and goes on a killing spree, but Anna has no memories of the crime. 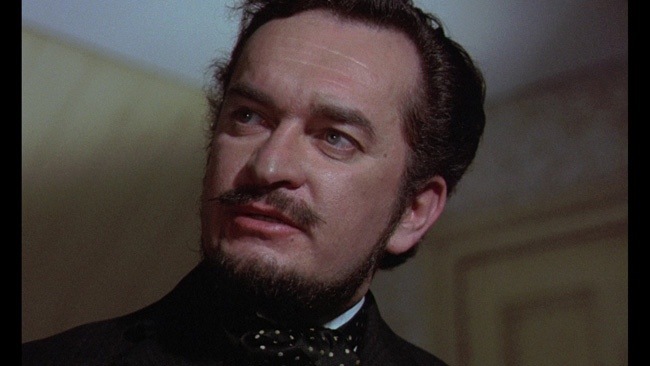 Dr. John Pritchard (Porter) takes Anna in hoping to cure her. 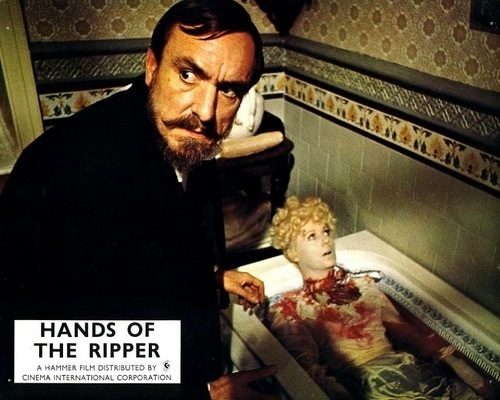 Hands of the Ripper as stated does have a good idea, but never fully works. The script by L.W. 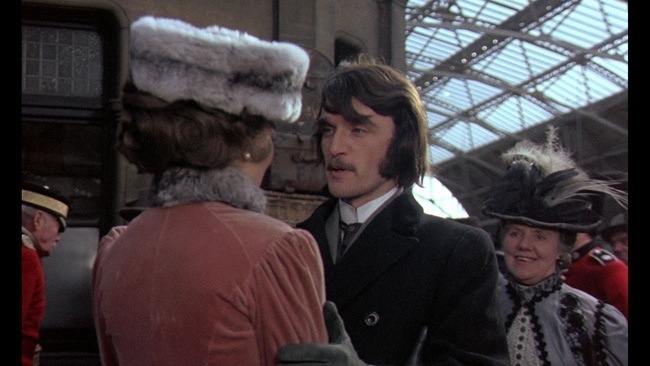 Davidson is just never as interesting as the plot; characters are fair enough, but the script as a whole is just never very interesting. The script lacks any real direction and often enough kind of repeats itself in areas. While not poorly written by any means, it just never reaches the level of potential it had. Director Peter Sady delivers a sluggish paced film and despite his best intentions suspense and tension are light. The murder scenes are handled fairly well with some decent carnage (don’t expect Tom Savini gore). But overall the direction lacks for the most part even if well-made. The film aims for suspense and story, but the suspense was lacking and the shortcomings of the screenplay kind of sink this. 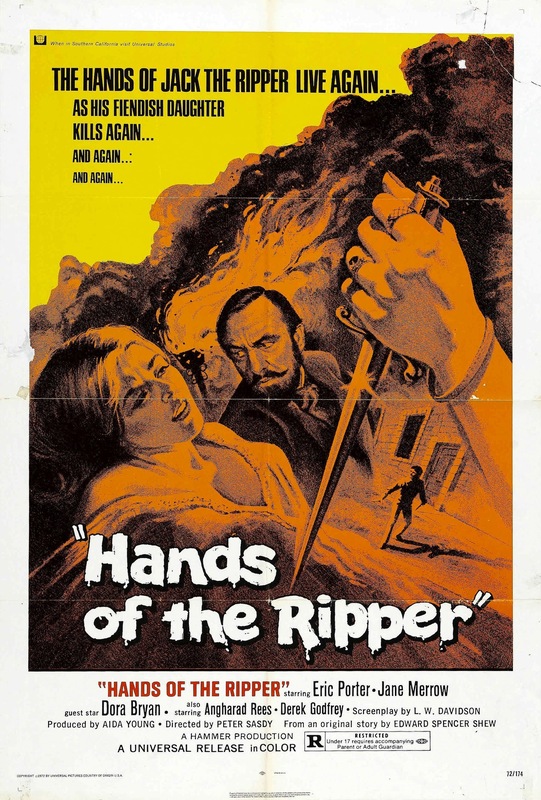 While my review may not be glowing, Hands of the Ripper wasn’t a bad film it was just lackluster despite a solid idea.